Welcome to the sixth installment of our Journey to Biblical Counseling interviews with various pastors, teachers, trainers, authors, and leaders in the biblical counseling movement. What led them to biblical counseling? What were some of the influences the Lord used in their journey? How do they now define biblical counseling? These are just a few of the questions they answer. Our special guest today is Amy Baker. 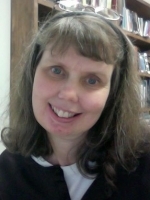 Amy is the ministry resource director at Faith Biblical Counseling Ministries where she has been on the counseling staff for over twenty-five years. Amy is also a member of the National Association of Nouthetic Counselors. She has been married to her best friend, Jeff, since 2002. Amy, what is your current involvement in biblical counseling? I have served on the staff of Faith Biblical Counseling Ministries for the past 25 years. I am also Director of Counseling for Vision of Hope, a residential treatment center for at-risk girls. I don’t do the actual counseling there, but my role is to oversee the counselors who serve the women. For FBC, I also supervise counselors-in-training and oversee our resource center. Biblical counseling is coming alongside people in order to help them know, love, obey, and desire our Lord. I don’t think it does. My definition is essentially the same, but it gets played out differently today. The writings and discussions biblical counselors have been having concerning the indicatives and imperatives of Scripture have caused me to counsel differently. I am now making sure that I am gospel-centered in my counseling. I was also very sin-oriented in my approach. What I mean is that I addressed people’s sin as the most obvious, immediate way to help them deal with their suffering. I am working really hard to not counsel like that anymore while at the same time not ignore real sin issues. Another way my counseling method has changed is in regard to the beauty and worth of Jesus. All along, I was coming alongside people to help them know, love, obey, and desire our Lord so that their goal would be to glorify Him, but I did not spend time developing a picture of why He is worthy of being glorified. Instead, I assumed that they already had that understanding and that my job was just to help them figure out the how of glorifying God. Now I see that many believers do not see what a marvelous Savior our Jesus is and, therefore, helping them “taste and see that the Lord is good” is part of my role as a counselor. My approach is quite different, but not my definition. I grew up in a very loving Christian family and we attended very good gospel-preaching, Bible-believing churches. Having come to the Lord at a young age, I thought of myself as someone who loved the Lord and wanted to please Him. Nevertheless, when I went to a small liberal arts college I came out of the required theology class not knowing if God even existed. I had grown up in a Christian home and went to church my whole life, but I was not prepared for that course. I was not as strong of a Christian as I thought I was! Also, I did not really have an understanding of the sufficiency of Scripture. If anyone would have asked me if I agreed with a doctrinal statement that claimed the Bible was sufficient, I definitely would have said Yes, but I had no idea what that looked like in real life. Of course every college requires you to declare a major. Since I had one psychology course, which I really enjoyed, that became my major. Psychology said to me, “We have the answers,” and I agreed. But as I was exposed to its various counseling theories, I would then say, “Well, it’s not that one.” I figured I just had not taken the right class yet. As I finished my bachelor’s degree, I decided to go on to get an advanced degree in the same field. I selected Organizational Psychology and was accepted at Purdue University. When I made that decision there was no thought of God’s will or how pursuing this course of study would help me to serve and glorify Him. That thought never occurred to me. However, God was working in the background to get me where He wanted me. While at Purdue, I knew I should find a church in the area. Faith Baptist Church was the first one that I had visited and I never went anywhere else. It was at Faith that I came to understand what sufficiency meant. I came to understand that God’s Word—not man’s theories—truly has the answers for life and godliness. While in graduate school I was able to take Faith’s biblical counseling training courses. Pastor Bill Goode and Dr. Bob Smith discipled me and invested in my life. None of that was planned by me! It was God’s kindness and goodness to bring me to Lafayette for a reason unknown to me at the time. I thought I had moved there to get a master’s degree in psychology from Purdue—and I did do that—but that was not the reason God had in mind. God used my exposure to biblical counseling at FBC to change my life. I still remember those first classes where I would literally sit on the edge of my chair, eager to hear and learn, so excited about what I was learning. Obviously, then, all of your counseling training has been in the context of the local church. So, tell me how you view the relationship of biblical counseling to the local church? I believe the local church is the ideal setting for biblical counseling to occur. To have counseling occur in the context of a body of people who understand God’s design for loving relationships is invaluable. As believers it is essential that we learn to rejoice with those who rejoice and mourn with those who mourn. A well-taught local church is a place where every member shares each other’s hurts and comes to each other’s aid. I know there are many situations where that will not be the case. But if we get to choose the ideal place then the local church is where I would put counseling. It is not for the person who professes to be a believer but who does not know, love, obey, and desire our Lord. Other than that, isn’t biblical counseling something we all need? Perhaps not in the format that comes to mind when we hear the word counseling, but we all need to grow and be involved in discipleship. We all need to take steps that move us toward looking more and more like our Savior. Does that not make counseling for everybody? I’d like to see the biblical counseling movement be more of a leader in providing answers for problems that our culture sees as very difficult to handle. For example, with the rise of autism I would like to see people who know and love the Lord be the leaders in coming alongside people who are struggling through its challenges. Or, for helping people suffering with PTSD, I would like to see biblical counselors out in the front because we not only love people, but we also strive to view every difficulty through the lens of God’s love and care. It is my perception that the front is not where we usually are on the most obviously painful issues of our day. The challenge of being the leaders in soul care will always be there, but if we were on the forefront on the most obvious issues then we would be better positioned to give people biblical hope sooner. 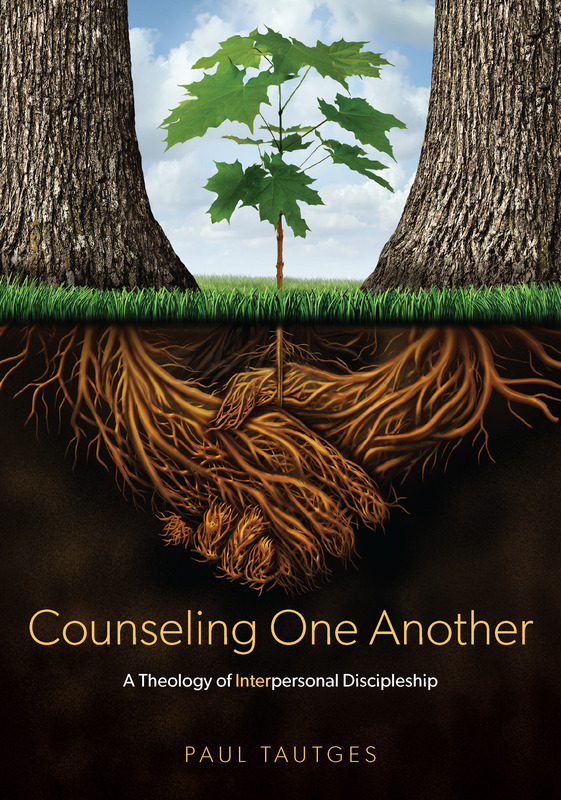 I recommend they begin by reading the BCC’s newest book, Christ-Centered Counseling or some of the other foundational books on biblical counseling. Starting there will give them a taste of biblical counseling. Then I suggest they look into attending a counseling training conference like those provided by Faith Biblical Counseling, NANC, or CCEF. Amy, do you have any other thoughts for our readers as you think about the privilege of being involved in the biblical counseling movement? Thank you, Amy, for sharing with us your journey to biblical counseling.